Avoid pedestrian collision, the FHOSS HALO EXCLUSION allows workers to clearly identify exclusion zones. There are a huge amount of incidents around plant and vehicles. Backup alarm systems are effective, but what happens when employees are listing to music, have their ear defenders on, are talking on their mobile phones, or staring at the ground? That’s where the FHOSS HALO EXCLUSION can help! 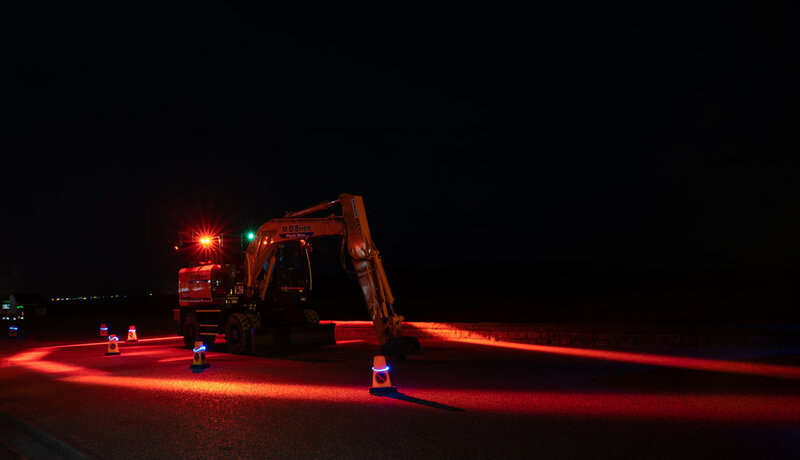 Once the light is installed around the vehicle, focused beams of light will identify an exclusion zone, making the worker aware not to enter the danger zone. Work zone identified giving advanced warning to employees. Hard wired into your vehicle or plant. Can increase safety of employee, vehicle & plant. 3 types of Halo Exclusion: Spots, strip line & directional arrows (all available in blue, red & green). BMJV upgrade on the M27 in collaboration with FHOSS Illuminated, global award winning Safety Products. M O’ Brien Plant Hire Vehicle equipped with FHOSS HALO EXCLUSION 7 light system. 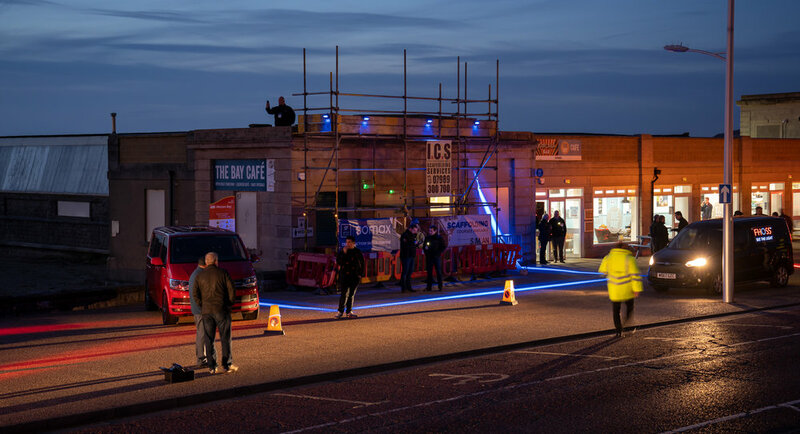 FHOSS HALO EXCLUSION 5 light system fitted to scaffolding creating a visual safety message. FHOSS HALO EXCLUSION 4 light system. 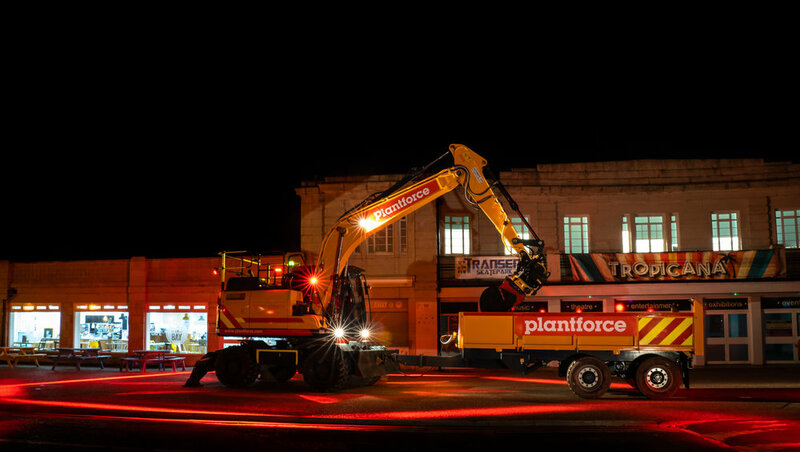 Plantforce Wheeled Excavator fitted with 7 light FHOSS HALO EXCLUSION. Flannery Plant Hire’s brand new Komatsu Hybrid fitted with our 7 light system. L Lynch tipper equipped with FHOSS HALO EXCLUSION.